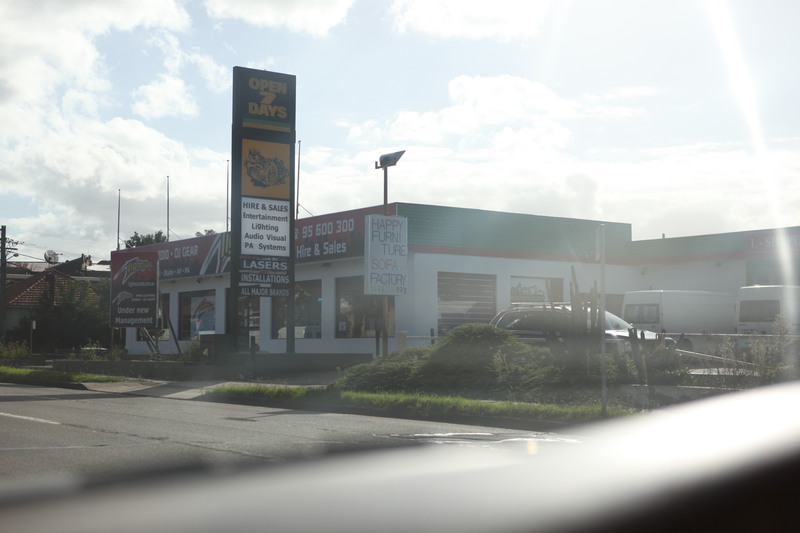 This Canterbury Road address may be called Lightsounds now, but the sign above it still features the bizarre mascot of Robbos(sic) Spares, a spare car parts company. According to Robbos’s stunning website, Robbos set up shop here in 1984. Robbos Spares, Canterbury Road Campsie, 2010. Image from Robbos.com. By now you’ve got that feeling like the word Robbos doesn’t make sense anymore, don’t you? Or is it just me?